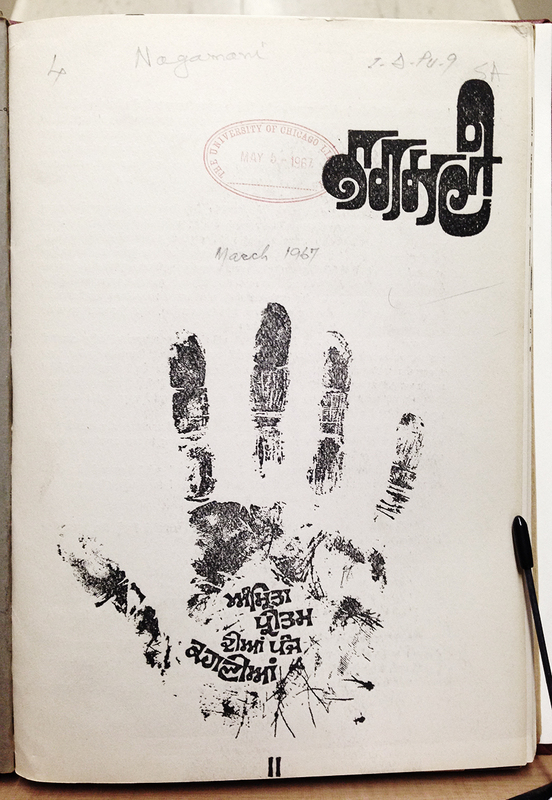 Cover of Nāgamaṇī, journal in Punjabi. Nayī Dillī : Nāgamaṇī, March 1967. From the University of Chicago Library. What a stunning cover image! 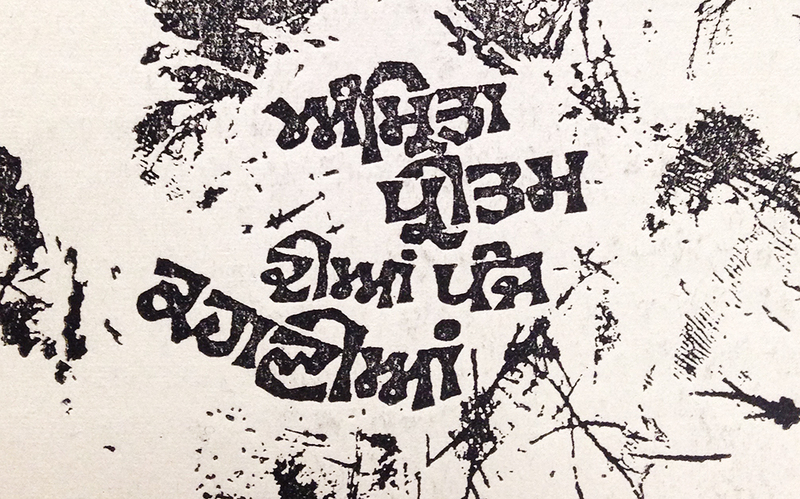 I really like the warped, cascading forms of the logotype of this Punjabi journal, ਨਾਗਮਣੀ (Nagamani). The very curly ਨ and ਣ constructions are really cool to see, and a stark contrast from typical typographic forms. This is exactly why I love looking for old lettering samples! To see people test the boundaries of form! In the center of the handprint is another interesting sample of lettering, using a chunky, wedge-shaped stroke style. I love these types of experiments. ਅੰਮ੍ਰਿਤਾ ਪ੍ਰੀਤਮ ਦੀਆਂ ਪੰਜ ਕਹਾਣੀਆਂ means Amrita Pritam: Five stories.